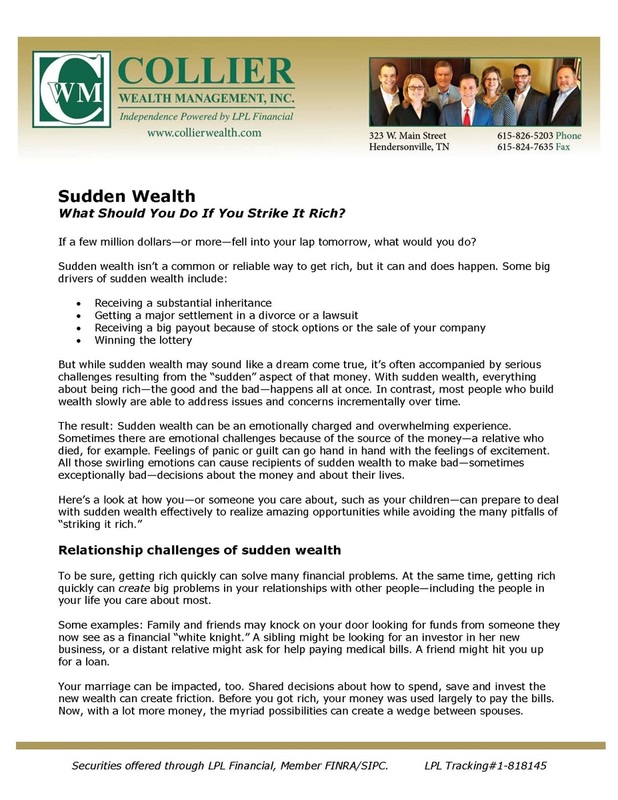 Sudden Wealth | Collier Wealth Management, Inc. Receiving a big chunk of money out of the blue can create all sorts of challenges. 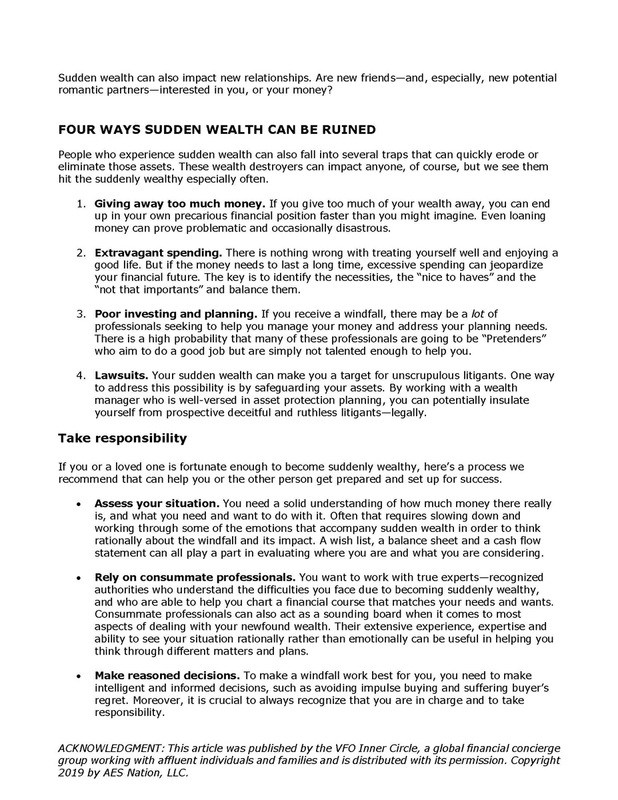 This article provides a process for avoiding the pitfalls of sudden wealth and getting set up for managing it successfully. Request your copy of "Sudden Wealth"